On the lines of Neethi Medical stores started by Kerala government under cooperative sector in 2012, the cooperative department under Tamil Nadu government has started ‘Amma Pharmacies’ to supply branded medicines to the public at concessional rates. With this Tamil Nadu has become the second state in the country to start pharmacy retail outlets in the cooperative sector and the fourth one to commence dispensing stores in government sector exclusively for sale of drugs with low trade margin. The initiative for sale of drugs on discounted rates started for the first time in India in Chitodgarh district in Rajasthan by the district collector in 2011, followed by Andhra Pradesh Medical Services Corporation started Jeevandhara Pharmacies for selling generic drugs on discounted rates. In February 2012, Kerala Medical Services Corporation (KMSCL) started Karunya Community Pharmacies to sell branded drugs on a marginal discount of 20 to 60 per cent to MRP. The Amma cooperative pharmacies in Tamil Nadu will provide branded prescription drugs on 10 to 15 per cent discounts to the public, The chief minister inaugurated ten such retail outlets in the state on June 26, and ninety more will be opened shortly in various places where community pharmacies are small in numbers, sources informed. Regarding procurement of drugs, sources said the cooperative department will directly purchase drugs in bulk from the manufacturing companies, so that it can sell the drugs on marginal discounts. The cooperative department in Tamil Nadu is already running cooperative medical shops for the last 42 years and the outlets are functioning at the cooperative super markets. These cooperative medical shops stock all kinds of drugs and dispense the medicines at concessional prices. The medicines sold through these outlets do not have any sales tax and most of these shops are functioning round the clock throughout the year. This entry was posted in Clinical Trial and tagged Amma, Cooperative, India, Kerala government, Pharmacy, Prescription drug, Rajasthan, Tamil Nadu. Committed to helping the pharmacist community to curtail their escalating healthcare costs, the Kerala state pharmacy council has started a scheme of health insurance cover for its registered pharmacists. The plan will benefit the family members of the pharmacists as well. ‘Apart from the pharmacists, the plan would also benefit the members of pharmacy council forums and non-pharmacist proprietors and owners of pharmacies on account of their long experience and association with pharmacy profession”; said B Rajan, president of KSPC. According to him, this is the first health insurance scheme for registered pharmacists introduced by a state pharmacy council. The scheme has come into effect on April 1 this year and it is implemented through United India Insurance Company which signed an MoU with the pharmacy council in this regard. While briefing Pharmabiz, Rajan said the premium starts with Rs 2300 for an insured amount of Rs.1 lakh, Rs.2875 for two lakh, Rs.3450 for three lakh, Rs.4025 for four lakh and Rs.4425 for five lakh. The policy has to be renewed every year. The medical stores and the wholesale premises can also be brought under the coverage. “The enrollment of pharmacists to the scheme had commenced in September last year and we hope that about 50,000 registered pharmacists in the state can avail of the benefit. Within one month’s time, 1500 registered pharmacists have been enrolled into the scheme. Though there are 50,000 pharmacists registered with the Council so far, those renew their registration every year and practice the profession is only 25000. The pharmacists and their family members will come under the scheme”, he said. He further said the premium for the scheme is very low compared to other health insurance plans available at present. In the scheme, all the diseases including chronic illness will be covered. Maximum age limit for taking policy is 70 years and it is a lifelong scheme. The council proposes to bring all the registered pharmacists under the insurance scheme shortly. Apart from the insured amount, the benefits include ambulance charge of Rs.2000 in case of emergency and free accessibility of IP rooms, ICU and reimbursement of claims for treatment in non-net work hospitals. Maternity benefit is covered upto Rs.15000 for normal delivery and Rs.25000 for caesarian. Expenses incurred for 30 days before hospitalisation and for 60 days after it are also eligible to be availed through the scheme, said the Council president. This entry was posted in Clinical Trial, Health and tagged Insurance, Kerala, KSPC, Pharmabiz, Pharmacist, Pharmacy, Pharmacy Council of India. While Maharashtra Food and Drug Administration (FDA) efforts to implement uniform and good prescription practices by launching a model prescription format is on since February, a new revised model prescription format is currently being drafted by Medical Council of India (MCI) in consultation with Maharashtra Medical Council (MMC), State Pharmacy Council and FDA. 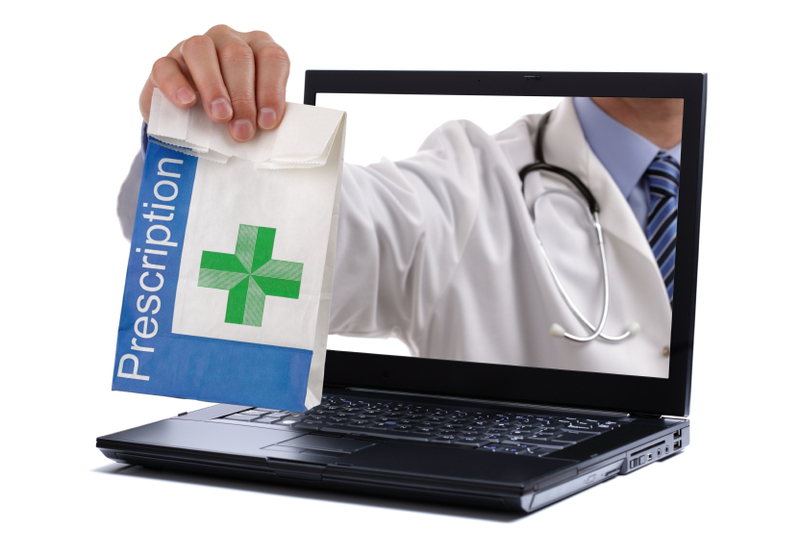 Scheduled to be out in coming two weeks time, the revised model prescription format would be an answer to the practical difficulties faced by physicians in implementing FDA’s model prescription format like writing the names of the medicines in Capital Letters, patient’s address, specifying doctor’s qualification and registration number in addition to giving generic drug names. MCI will hold a meeting of all the stakeholders comprising of state council presidents and MMC on May 4, 2014 in Delhi to contemplate on issues faced by physicians in implementing FDA’s model prescription format which was issued on February 28, 2014 by the hands of Chief Minister to discourage irrational use of drugs and combat multi-drug resistance. As per the contentious FDA format, it is statutory requirement to mention name of the prescriber on cash or credit memo of the drugs under Rule 65(3) and authenticate prescription. Therefore, the prescription shall bear doctor’s full name as mentioned in her or his registration certificate. To know competency and genuineness of prescriber, the prescription shall bear doctor’s primary qualification such as MBBS or BAMS followed by subsequent qualifications. Prescription shall bear the registration number of doctor’s registration with their respective council. The registration number should be prefixed with letters indicating the council in which doctor has registered her or his name. “MMC plans to have simpler and more practical prescription format in the near future. It is tough for doctors who have to write prescriptions every five minutes to follow the FDA model,” an MMC official said. The FDA format also states that it is statutory requirement to mention the address of the prescriber on the cash or credit memo of the drugs under Rule 65 (3) and the patient and pharmacist should know where the prescriber is practicing and, therefore, prescription shall bear complete address of clinic or hospital where the prescriber is practicing. The prescription shall have telephone number and e-mail address of prescriber. As per the Rule 65 (10) prescription shall be dated and prescription shall specify the name and address of the person for whose treatment it is given or name and address of the owner of the animal if the drug is meant for veterinary use. Prescription shall invariably bear strength of the medicine. Eg. paracetamol tablets 500 mg., amoxycillin capsules 250 mg and shall also bear a proper dosage form of medicine prescribed. eg. tablets, capsules, syrups, creams etc. This entry was posted in Clinical Trial, USFDA and tagged Delhi, Maharashtra, Medical Council of India, Medical prescription, Pharmacy, Physician.